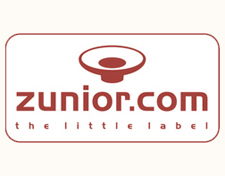 It’s a voice album. That sounds weird, doesn’t it? I always think this is funny, because that’s my reaction too. “It’s a voice album? That’s weird!” Which is in itself a weird thing to say since isn’t voice the most natural, accessible, everybody-can-do-it way to create music? Or maybe that’s why it’s weird: there’s much more at stake when you deconstruct voice, because it is something everybody can do. It’s like ripping out everybody’s larynx with your bare hands. And so if you listen to Joan La Barbara or Yamatsuka Eye, or the repeated resonance work of Alvin Lucier or Steve Reich, or I guess even Mike Patton’s solo voice records (which are lame; he wanted it all but couldn’t…y’know) they’re like the weirdest of weird things you can do in music—like, these are the real fringe musicians in music, and stop trying so hard you posers with your instruments—even though all they’re about is talking or singing. Conveying the inexpressible by throwing the dictionary out the window and inexpressing. Letting words fall apart to create unusable phonemes. 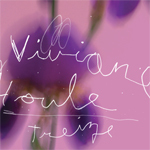 Viviane Houle’s gorgeous solo debut Treize is exactly this kind of oddity, and it’s a genius example of this audacious approach to music, though it falls more into a lineage that somehow simultaneously includes Pauline Oliveros and Sarah Vaughan and Kaitaiteki Kokan than the artists mentioned above. Houle sings, hums, scribbles, and nasals her way through a host of ambitious material, letting her voice frequently adopt the tenor of Jessica Rylan’s oscillators on Interior Designs as a method of communication. Oliveros accompanied herself with her accordion; Sarah Vaughan with a pianist; Masayuki Takayanagi and Kaoru Abe each other; Houle channels moments of the sound of each while playing in the same format, offering a series of duets with other Drip Audio musicians that range between offbeat jazz ballads and hard knuckle free improv. Critics of vintage, small-ensemble free improv albums who think the idea is cool but have trouble stomaching album-length riffing on the same idea (a valid criticism, I think, given what listening to Kaitaiteki Kokan or Topography of the Lungs or Balls is like, though free improv’s defenders would argue this unremitting tension is the point) will not have a similar problem here. Treize is a free improv album at heart but it works hard to relocate the spirit of free improv inside a wide variety of musical genres instead of stranding the listener in a surge of unrepentant hammering. This relocation is something Houle excels at: while, say, “Gratte-Moi Le Dos,” her duet with drummer Kenton Loewen, sounds like some great lost session featuring Han Bennink and a sentient vacuum cleaner, “Song Not for You” (with guitarist Brent Belke) is a giant no wave hard rock punk out lobbed towards the end of the album that recalls early Boredoms more than the late ’60s or early ’70s. And the album ranges further forward than that for inspiration: on “Paperthin,” Houle hums long whispy notes in harmony with Coat Cooke’s breathy saxophone and both musicians keep their instruments utterly transparent, emulating the paper-like thiness of the song’s title, but also sounding for all the world like components of contemporary ambient music. Similarly, on “It’s Not the Moon” Chris Gestrin provides a backdrop of analog synth sounds for Houle to play oscillator on top of. That Houle makes this material mesh with more vintage explorations of theatrical music hall (“Au Revas” with pianist Paul Plmley) and jazz standards (“Bell Hung in a Tree” with bassist Clyde Reed) is fascinating; each song contributes to a broader vision of words and noises as interchangeable. Houle herself is stunning throughout, moving from a strict old school jazz voice on tracks like “Molehill Mumps” with pianist Lisa Miller to a series of belches and sniffles on tracks like “A Little Storm” with guitarist Jeff Young. She maneuvers her voice to suit not just the instrument of her companion on a given track but also, presumably, their style. Deliciously chaotic opener “Mandrake” relies just as much on Peggy Lee’s distinctive approach to cello as it does Houle’s microphone-in-the-throat dynamics. Both musicians blur their beginnings and ends; nothing is crisp throughout the track, instead relying on pitch and decay to move forward. Compare that with “Betters and Bads,” her duet with violinist Jesse Zubot, where both musicians are much more quick to flit and slide between points, to punctuate their phrases, and to sound like actual natural noises. Equally ambitious and strange, the tracks seem to define not just the difference between the violin and cello but the difference between approaches one might take to this kind of improv. The beautiful “Finely Tuned is My Heart” takes all of these ideas to their extreme, Houle’s vocals falling somewhere between Nina Simone and Mary Margaret O’Hara while Jeremy Berkman’s trombone sounds like it’s in the middle of trying to dig up Billie Holiday’s skeleton. And I don’t mean that as a metaphor. Even the quiet moments of the album are filled with intrigue. “Quiet Eyes” has Ron Samworth exploiting some neat guitar loops and ambience while Houle rebounds from the spastic “Gratte-Moi Le Dos” to the album’s first “traditional” jazz number. As the resonant harmonics begin to encroach upon Houle’s voice, however, and Samworth starts to trigger brief loop stutters, the entire track seems to gain velocity and loose rhythm, which is a beautiful effect. And the closer, “Curve,” which features Stefan Smulovitz on laptop, returns to this idea, processing Houle’s voice and sending it out into the stereo channels so she suddenly sounds like she’s all around us. It’s kind of like an inversion of the rest of the album, actually—if the rest of the time Houle has been communicating with instruments that threatened to overwhelm her, her it’s her voice that is overwhelming. At least until it sputters out at the end, abruptly completing one of the year’s best albums.